Büyükada (meaning “Big Island” in Turkish; Greek: Prinkipos or Prinkipo; and alternatively meaning “Prince” or “Foremost”) is the largest of the nine so-called Princes’ Islands in the Sea of Marmara, near Istanbul. 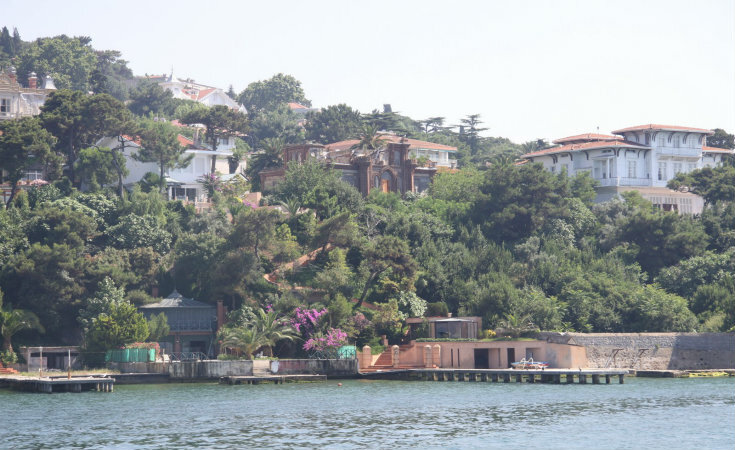 It is officially a neighbourhood in the Adalar district of Istanbul Province, Turkey. One of the main squares of the island, with the statue of Mustafa Kemal Atatürk. As on the other islands, motorized vehicles – except service vehicles – are forbidden, so visitors explore the island by foot, bicycle, in horse-drawn carriages, or by riding donkeys. A convent on Büyükada was the place of exile for the Byzantine empresses Irene, Euphrosyne, Theophano, Zoe and Anna Dalassena. After his deportation from the Soviet Union in February 1929, Leon Trotsky also stayed for four years on Büyükada, his first station in exile. Princess Fahrelnissa Zeid was born in the island. There are several historical buildings on Büyükada, such as the Ayia Yorgi Church and Monastery dating back to the 6th century, the Ayios Dimitrios Church, and the Hamidiye Mosque built by Abdul Hamid II.